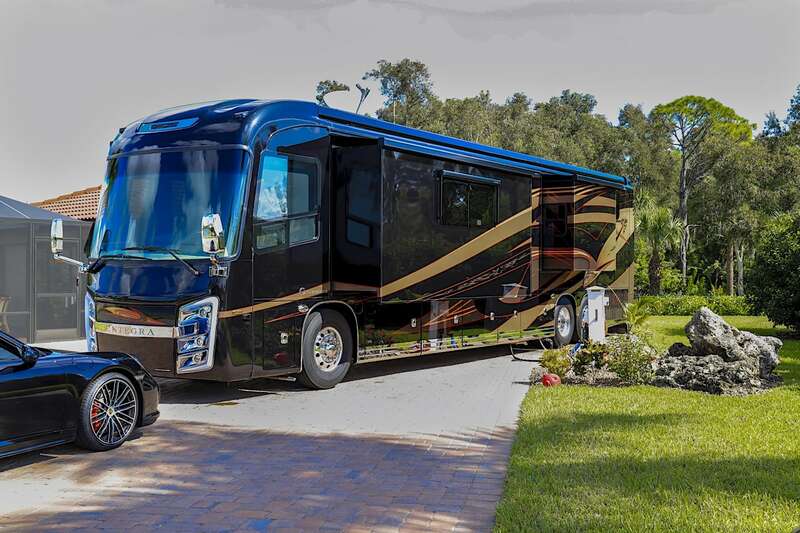 There are very few true waterfront motorcoach properties in Southwest Florida which is why you’ll definitely want to check out 93 Pelican Circle. 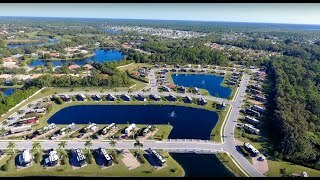 You will look out onto the attractive waterfront boardwalks built in a natural mangrove habitat and right on the Myakka River. This 3706 square foot waterfront site features landscaping on both sides of the 1500 square foot brick paved pad along with two 50amp electric outlets at the pedestal. Also included are the hook-ups for city water and sewer along with wi-fi which is accessible throughout the resort. The plated square footage of this site allows room for the future construction of a 370 square foot casita or outdoor entertaining space. Grab a glass of wine and enjoy one of Myakka’s spectacular sunsets right from your patio!